AirPods are by far the headphones I’ve used for the longest period of time, and there’s a good reason for that. I’m not a huge fan of the AirPods sound signature. However, their functionality trumps sound quality. They auto-pause when you remove one from your ear, the microphones automatically switch to give the best quality when on a phone call, they charge very easily with a case, and the integration with iOS is icing on the cake. While some may argue that they don’t fit in their ears, AirPods fit in mine and since they’re earbuds, they are super comfortable for long periods of time. With other competitors on the market, you may get better sound signature, but lack in other departments such as pairing management. Some headphones let you pair with two devices at once but seemingly fall apart when trying to figure out which device you’re actively using, or when a phone call comes in on two devices (iPhone and iPad, for example), the headphones completely fail as they can’t figure out which device should be active. Naturally, W1 fixes all of this by making your headphones always present on all your iCloud-enabled devices. Pairing to non-Apple devices is super easy by pressing the button on the back of your AirPods for a few seconds. If you need to connect to that device again, simply just go into your Bluetooth settings, find AirPods, and tap to connect. With other headphone manufacturers, you often have to go back into pairing mode, or disconnect from your current device to switch devices. Ugh. Where do I start? Software for Bluetooth headphones is all over the place. Let’s start with manufacturers that don’t offer any customization through an app. It’s 2019, users are clamoring for options. Not offering any sort of customization with Bluetooth headphones is laughable at this point. Headphone apps are generally categorized as “great, when they work.” The problem is they usually don’t work. AirPods? You pair them, go into the Bluetooth settings on an iPhone or iPad, and the “app” always works as long as you’re paired. Other apps often fail to connect to your headphones despite always being connected. Let’s not talk about firmware updates either, because these are seemingly non-existent. Hoping to get multi-device support on your Sony 1000XM3s? Probably not. Want a way to disable always-on “Hey Cortana” on your Surface Headphones to improve battery life? Unlikely. Want an equalizer on your Bose QC35s? Nope. Headphone manufacturers essentially release headphones, push one or two minor updates and call it a day, including to their apps. Apple has proven with HomePod that it can make a device with exceptional audio quality. Similar to how it handles calibration with its displays, I’m confident that Apple can make a set of over-ear headphones with better-than-average audio quality. My colleague Ben Lovejoy also pointed this out when the HomePod launched last year. AirPods were simply an evolution of the existing EarPods, and that was before the era of really good audio quality from Apple. The company has now proven with the latest generations of iPhones, iPads, Macs, and the HomePod that it can make devices with exceptional audio quality. This part is a bit shaky when it comes to competitors as everyone has different ears and the definition of “great sound quality” will vary between users. Apple has also proven that it can build great hardware. 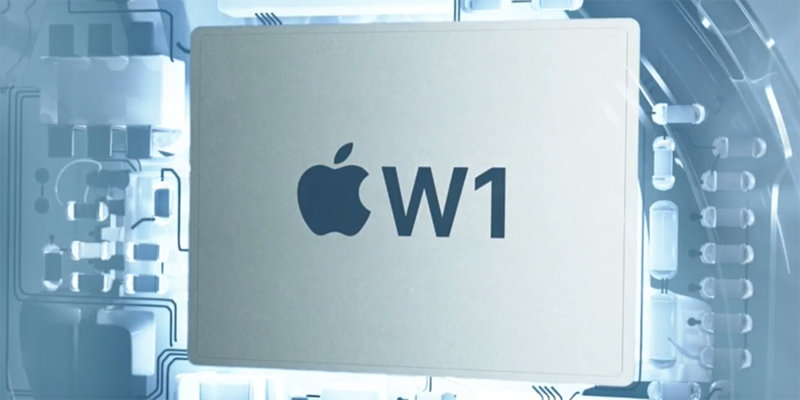 Look at not only the W1 chip, but also the T-series chips on Macs, A/M series on iOS devices, the S-series for Apple Watch, and one can infer that a new line of chips can be made for Apple’s over-ear headphones. Even if the company used the same A8 chip found in the HomePod, the processor could potentially handle always-on Hey Siri, and noise-canceling capabilities. Which, with the amount of power found in Apple’s A-series chips, should blow the competition out of the water and could continue to improve over time with constant software updates. Apple could use the same noise-canceling techniques found within HomePod and its other products when using hands-free Siri, to power its active noise cancelation software. The sky is the limit here. Apple has shown that it has the drive to make the best audio experience across its line of products. From something as tiny as the Apple Watch, to an always plugged in device such as HomePod, audio from Apple the last several years has been really, really, good. According to a report from Bloomberg a few months ago, Apple is set to release a set of over-ear headphones in 2019, alongside an update to AirPods. I am very excited to see what Apple has in the cards for its upcoming over-ear headphones, one thing is for sure: I would be incredibly disappointed if Apple chose to use Lightning instead of USB-C for charging. The logical next question is pricing. How much would you pay for over-ear Apple headphones? Let us know in the comments below!